Magnum, P.I. No Mehr Mr. Nice Guy. On location in Hawaii with Tom Selleck. What is your Favorit episode of anderthalbliterflasche, anderthalbliterflasche, magnum P.I.? Did Du See the Sun Rise? 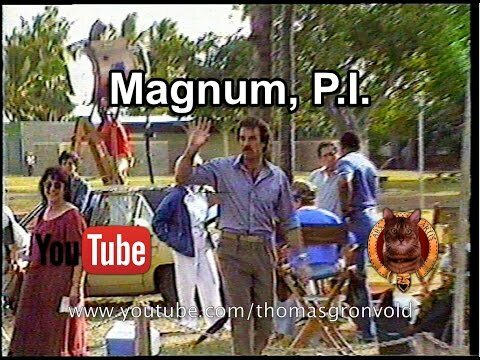 a video Wurde hinzugefügt: Magnum, P.I. No Mehr Mr. Nice Guy. On location in Hawaii with Tom Selleck. a comment was made to the photo: Magnum, P.I. a poll Wurde hinzugefügt: What is your Favorit episode of anderthalbliterflasche, anderthalbliterflasche, magnum P.I.? In which Action-Adventure Movie was Tom Selleck originally offered the lead role?